It's already Europe's favorite airport. But since November 7, 2016, supporters of perennial German soccer champion FC Bayern have had a new reason to love Munich Airport. More than a thousand fans made the pilgrimage to the airport to witness the re-opening of the FC Bayern shop in the Munich Airport Center and catch a glimpse of some of their heroes. Sales of caps, scarves and gloves were particularly brisk, as winter temperatures tested the resolve of the waiting visitors and fans. They began lining up an hour and a half before the shop was due to open, hoping for a chance to snap a selfie with their favorite FC Bayern stars. Equally patient were the many mothers who kept the little soccer stars of the future happy with hot drinks and sandwiches while they waited. The airport and FC Bayern had plenty of fun in store for the fans who braved the cold: targets to shoot at and games with great prizes. On stage in the MAC Forum, FC Bayern stadium announcer Stefan Lehmann and Bernhard Fleischmann, a DJ with local station Bayern 3, played hot tunes to help the waiting fans forget the chilly conditions. Opening celebration for the new FC Bayern Fan Shop at the airport with Karl-Heinz Rummenigge, Javi Martinez, Carlo Ancelotti, airport managing director Andrea Gebbeken, Franck Ribéry and FC Bayern merchandising manager Jörg Wacker (left to right). and the big moment has arrived: The delegation from FC Bayern is greeted with loud cheers. On stage to welcome the fans were airport managing director Andrea Gebbeken, FC Bayern merchandising manager Jörg Wacker, FC Bayern chairman Karl-Heinz Rummenigge, team manager Carlo Ancelotti and two players: Franck Ribéry and Javi Martinez. Video messages from David Alaba, Mats Hummels and Thiago were transmitted to the big screens mounted on the Meta Twist Tower. Andrea Gebbeken then helped Karl-Heinz Rummenigge and Carlo Ancelotti to press the button. After a loud bang and a puff of smoke, the curtain drops, revealing the new shop. "It's a big part of our identity that we're not just any airport," said Andrea Gebbeken. "We want our guests to know that they're in Bavaria and in Munich. 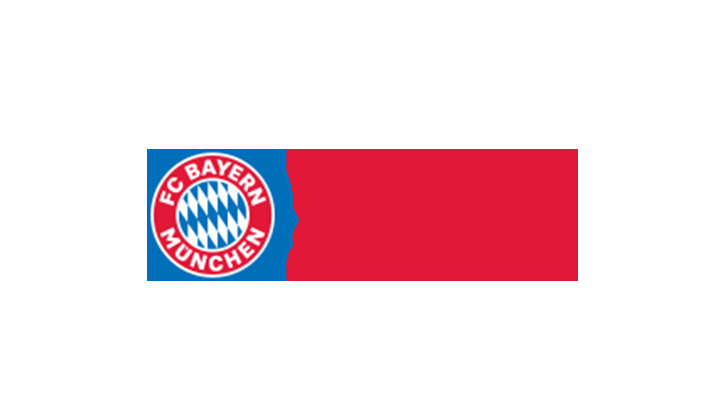 That's why Bavarian brands have such a strong presence in Munich Airport's retail world – and naturally FC Bayern, as a big ambassador of Bavaria, has to be part of that." Karl-Heinz Rummenigge returned the compliment: "We feel very much at home here at Munich Airport. FC Bayern travels a lot, and this is one of the world's best and most modern airports." "The new store is amazing. It's a little cold today, but we're very happy to be here," said Javi Martinez as he toured the shop. He then shrugged off the icy conditions to stand for over an hour signing autographs alongside his teammate Franck Ribéry. A few fans at the back of the line went away disappointed when team manager Ancelotti signaled to the two players to finish up: It was time to leave for a training session in Munich.